Second-generation South Florida restaurateur Abe Ng came to us to help him craft a brand strategy for his innovative sushi concept, Sushi Maki. While the basic idea of a sushi bar is pretty well-tread territory, his original idea was to bring it to life in new and unusual ways: sushi tacos, unusual ingredients, presentations in a fresh new environment. We helped Sushi Maki grow from its original location in Coral Gables to over 20 restaurants across South Florida. We also helped design a joint venture with Whole Foods Markets that includes a flourishing grab-n-go presence in airports, malls and their stores. 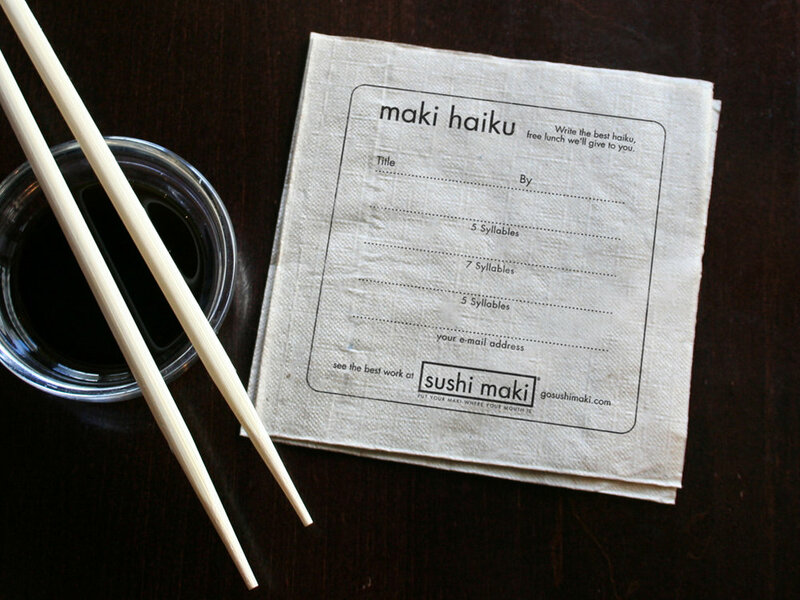 “Put your maki where your mouth is.” greets every visitor on the mat at the door of every Sushi Maki. Their fleet of trucks has become a Miami icon, with wild, fresh sea life breaking out into traffic. No detail was too small to help build the brand. When we decided to dress up the chopstick wrappers with humorous cartoons that depicted the way most kids use chopsticks, their lawyers insisted we include disclaimer copy on the back in case anyone injured themselves. We agreed—on the condition that we got to write the legal copy as well.